NF (6197) - Already posted levels are remain same and no change in it. 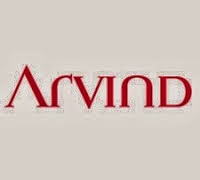 that is ..
ARVIND (119.7) - Posted on 05th Dec. "below 133 down side target 123-121 & 117-115" after this post it made high 132 and as on last Friday it made low 119.25.
now mentioned down target and support of 117-115 remain same. BHEL (154.60) - Posted on 02nd Dec. "support 153-149 above that upside target 175-180" as posted it moved up and exactly made high 176.95 on 09th Dec. not only that, from there correction started and up to last Friday it made low 154. IOC (199) - Posted on 14th Nov. "Support 196-193 above that upside target 211-214, But below Support, down side target & Last hope and Support 186-180 But below 186-180 big down move going to happen First target 150-145 & Ultimate Target 134-130"
as posted it took support at 197 on 14th Nov and attacked the mentioned target of 211-214 (made high 211 on 09th Dec) and from there fall started and as on last Friday it made low 198.50.
so now 14th Nov. posted levels are remain same and intact. JETAIRWAYS (273) - Posted on 25th July itself. 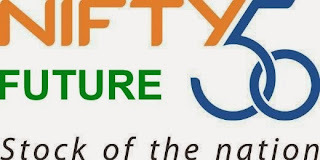 about its down target that is 'As long as hold below 380-390,down side target 285-275"
after this post it came down and took support at 279 on 28th Aug. and from their it moved up and made high 414 on 04th Oct. and from their fall started and as on last Friday it made low 270. YESBANK (365) - As reminder post dated 09th Dec. mentioned target of 400-405 attacked on 09th Dec itself (made high 414+) and not only that from there correction started and up to last Friday it made low 364.50. Already mentioned (on 02nd Dec itself)down side support of 362-358 remain same so now on going fall going to end and take support at 362-358, if it so, once again up move only.